Celebrating Christmas day at Walt Disney World is a dream come true for many Disney fans. What could be more magical? But it’s certainly not for the faint of heart – December 25th is one of the busiest days of the year at WDW, especially at the Magic Kingdom. 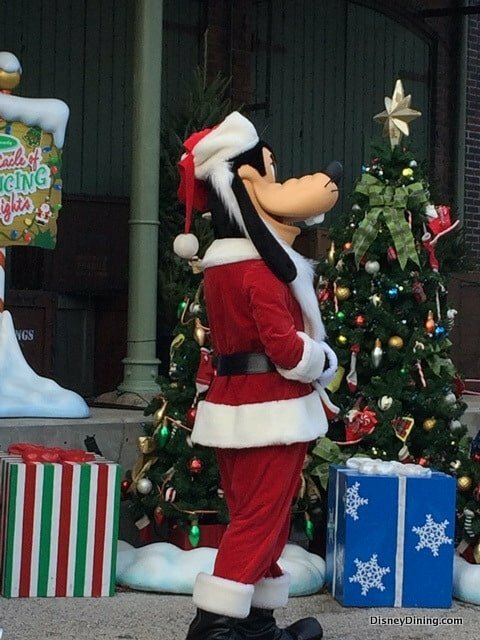 But there are ways to beat the worst of the lines, and you may find that the delights of Christmas in Walt Disney World are well-worth braving the crowds! Because Disney offers an abundance of fun ways to enjoy the holidays, there’s no one best way to spend your Christmas at Walt Disney World. Here are several of our top picks – and some helpful tips – for enjoying Christmas Day at WDW. Avoid booking early morning table service breakfasts on Christmas day. While a relaxing, celebratory breakfast on Christmas morning might seem ideal, it means you’ll be sitting in a restaurant during the time of day when crowds are lowest. Instead, arrive at the park of your choice early – very early! We’re talking 30 to 45 minutes before rope drop. This will allow you to take advantage of the first couple of hours in the day when lines are as short as they’re going to be. You can always take a break later in the morning and enjoy brunch, or a character lunch or dinner. For guests who want to start their Christmas day not in a line but in church will appreciate the church service that Walt Disney World offers on Christmas morning. It’s typically held in the Fantasia Ballroom at the Contemporary Resort, and there’s a Catholic mass as well as a Protestant service. While you’re at Disney’s Contemporary Resort, make sure you take a gander at the gingerbread display here. If you can stand the inevitable crowds, the Once Upon a Christmastime Parade is the Disney parade to see. 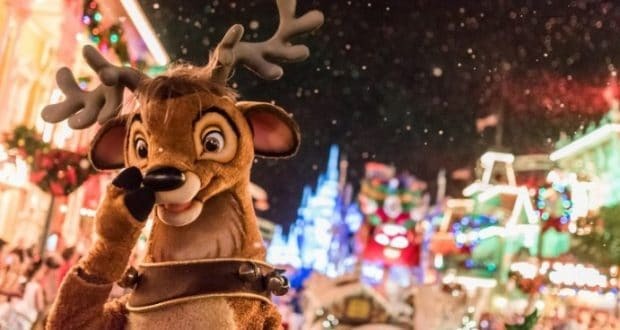 Guests who come to Walt Disney World earlier in December can only view this spectacle as part of Mickey’s Very Merry Christmas Party – and they pay dearly for the privilege. But if you’re in the Magic Kingdom Christmas day (or during the week leading up to it), you can view the parade for free, during regular park hours. There’s even a fun pre-show with audience participation and music that’s bound to get even Scrooge in the holiday spirit. You’ll see a host of Disney characters strutting their stuff in their Christmas outfits, lots of holiday tunes, and of course, Santa and Mrs. Claus themselves. One of our top picks for Christmas day in Walt Disney World is a sleigh ride at Fort Wilderness Resort. You won’t even miss the snow as you relax in a horse-drawn sleigh decked out for the holidays. After your 25 minute ride, make some time to stroll around the barn to check out the horses’ home, and walk away with your own special limited edition pin. 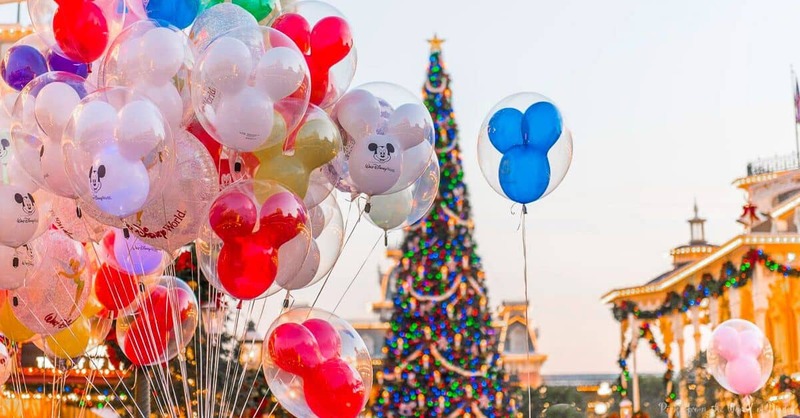 Even if you’re adverse to crowds, you’ll want to make an appearance at the Magic Kingdom on December 25th, if only to revel in the enchanted Christmas wonderland created by the picture-perfect seasonal decorations in this park. From the towering 65-foot-tall Christmas tree to the larger-than-life toy soldiers to the thousands of twinkling lights that adorn Cinderella Castle, everywhere you look, you’ll see holiday magic setting the stage for the most wondrous Christmas ever! While the decorations at the Magic Kingdom are top-notch, you’ll also want to drop by the Grand Floridian Resort and Spa to take in the classical elegance of a Victorian Christmas. The focal point here is the life-sized gingerbread house that’s made from real ingredients, and houses a Christmas bake shop where you can order a variety of holiday treats. Wherever you choose to spend Christmas day at Walt Disney World, eventually you’ll need to eat. And chances are you’ll be facing some frighteningly long lines at most quick service restaurants during peak meal times. So, beat the crowds by avoiding standard meal times altogether! Aim to eat lunch by 11:00 am, and have dinner either late afternoon (4:00 pm is perfect), or much later in the evening, after the dinner rush. You can always eat snacks between these times, and there’s no shortage of tempting holiday treats around the parks! And don’t forget to take advantage of mobile ordering, which will let you skip the order line completely. Walt Disney World guests with children may want to make a reservation at Hollywood and Vine in Hollywood Studios for Minnie’s Holiday Dine. This is the ultimate in Christmas character dining! Minnie Mouse makes the perfect hostess for your Christmas dinner, and she’s brought a few friends with her: Mickey Mouse, Donald Duck, Daisy Duck, and even Santa Goofy! Hollywood and Vine is festively decorated and your dinner comes with seasonal music and fun holiday activities. While you’re in Hollywood Studios, don’t miss the holiday magic of Sunset Seasons Greetings. It’s a state-of-the-art show that is presented on and around the Chinese Theater, involving fireworks, holiday music, projections and even snow! Join all of your favorite Disney characters as they share their own favorite Christmas stories, and watch as Hollywood Tower Hotel is transformed into a variety of delightful wintery scenes. You’ll also enjoy all of the best moments from classic and Christmas Disney films. Santa himself might even show up with a special message. 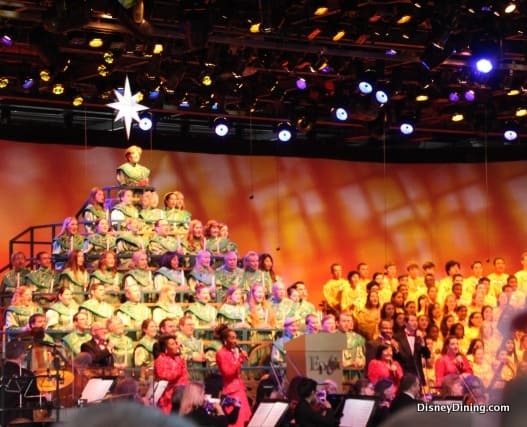 Another wonderful option for Christmas evening is the Candlelight Processional, where you’ll hear the story of Christmas told through music, with choir, orchestra and a celebrity narrator. But you won’t want to spend Christmas in line waiting to snag a seat, so it’s a good idea to splurge on the Candlelight Processional Dining Package, which will not only get you a meal (breakfast, lunch or dinner) at a fabulous Epcot restaurant, but also provides you with guaranteed seating for the Processional. Epcot has more to offer than just the Candlelight Processional! Check out the International Yuletide Extravaganza, which showcases seasonal celebrations from across the globe. You’ll hear holiday musical performances, learn about different cultural holidays and traditions celebrated this time of year, and of course enjoy holiday treats from around the world. Who wouldn’t want to travel the world on Christmas day, all within the comfort of Walt Disney World? 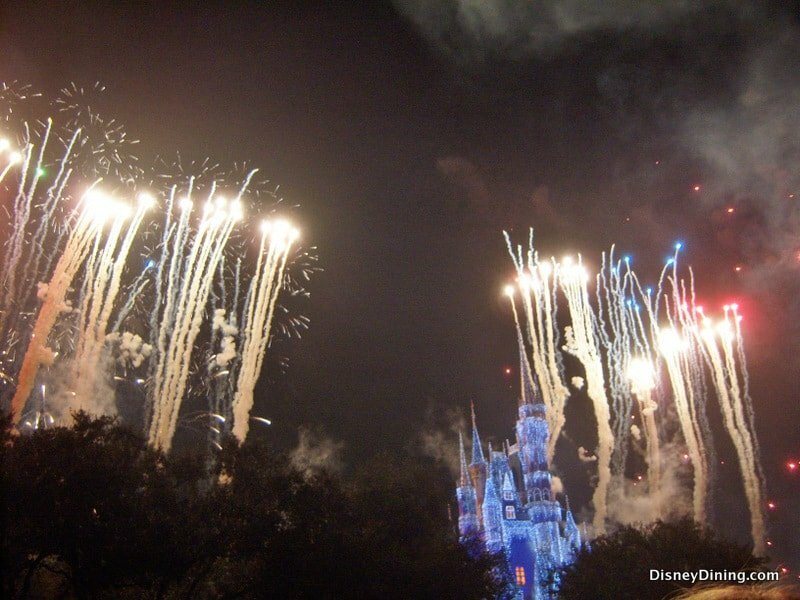 If you want to conclude your Christmas day in Walt Disney World with a bang, then Holiday Wishes is for you. You’ve never seen fireworks like this before! You won’t find a bigger, better, louder, or more expensive fireworks display anywhere on Disney property, let alone anywhere else. 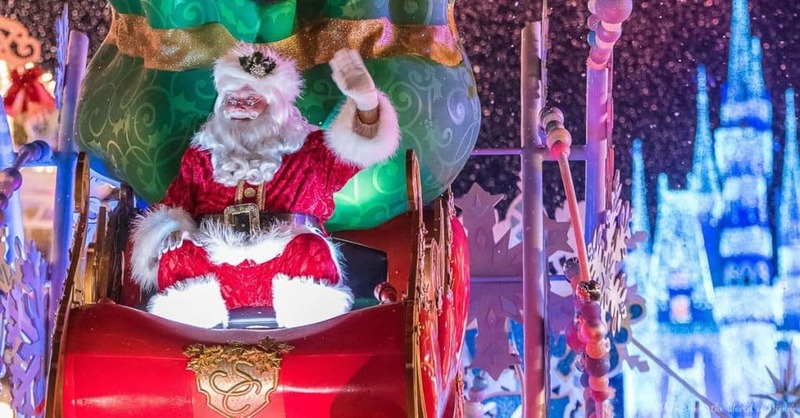 It’s such a phenomenon that, like the Once Upon a Christmastime Parade, it’s shown exclusively as part of Mickey’s Very Merry Christmas Party – unless you’re lucky enough to be in the Magic Kingdom in the week leading up to Christmas or shortly after. This fireworks extravaganza is narrated by Jiminy Cricket, and it features holiday music and special appearances by Mickey and friends.